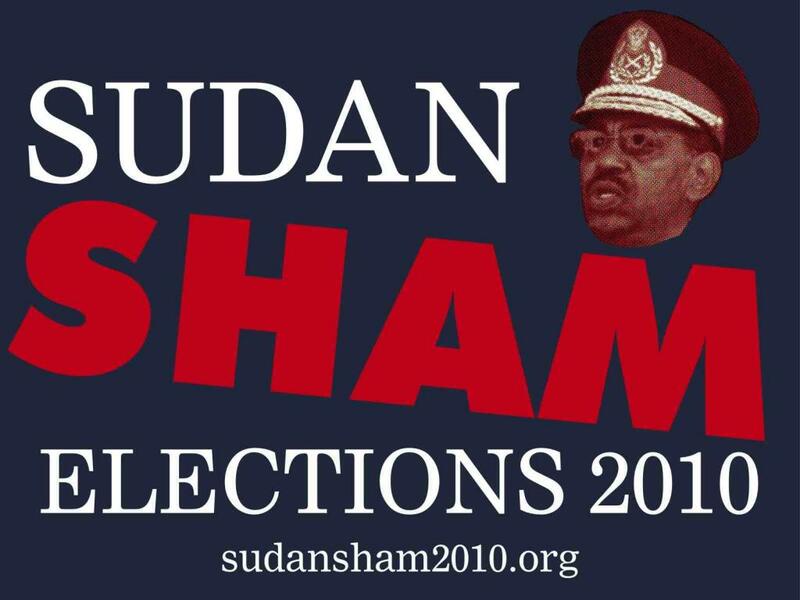 I am overcome with pride as the 50 days of the Sudan Sham Elections 2010 Campaign come to a close. For the last 3 months, I have been working with many of you to bring together activists from all 50 states to raise awareness about the elections in Sudan, and we did it – together. We decided to embark on this campaign during a quick round-table after our Sudan365 event in January. It started on the grass in front of the LA Federal Building and culminated in the elections being referred to as a “sham” in newspaper articles and op-eds, on the House Floor and during the Sudan Caucus general meeting on Capitol Hill. As part of the final days of the campaign, send a Letter to the Editor in only minutes! We have made a difference. We filled the great need for activists to feel they were acting instead of reacting for Sudan. Our elected leaders received phone calls, emails, text messages, tweets, facebook posts, and today I am proud to deliver our petition with over 1800 signatures to our President and other Administration officials. I encourage you to help spread our petition, as we all worked to gather signatures: No Support for Sudan Sham Elections. 1. Use this url: http://bit.ly/b1tvQZ to send a note to your elected officials, or Obama. 4. Send it to your own group to show what we can do together! Lastly, and most importantly, check out ways you can remain involved with a new initiative iOnSudan. Thank you for standing with Sudan during this critical period.